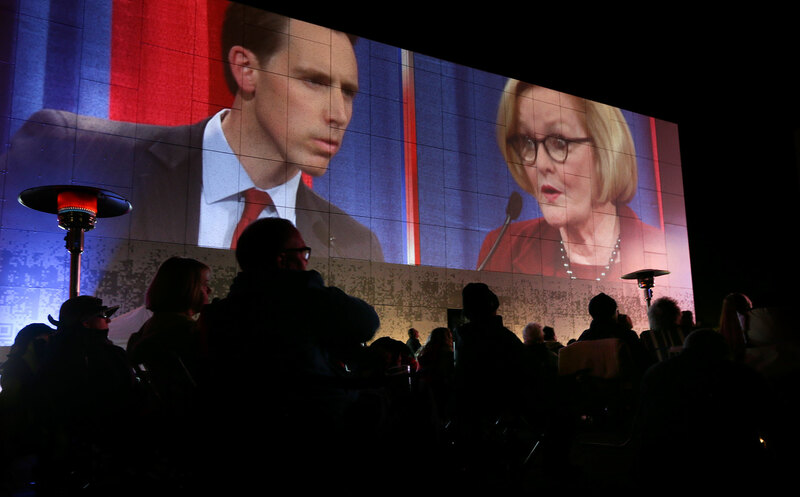 More than 150 people watch a live broadcast of a debate between Republican candidate and Missouri Attorney General Josh Hawley and incumbent Democratic Sen. Claire McCaskill on Thursday, Oct. 18, 2018, at the Public Media Commons outside the Nine Network. Hawley, the state attorney general, is seeking to unseat Sen. Claire McCaskill (D) in the November midterm elections. She is one of 10 Senate Democrats up for reelection this year in states won by Trump in 2016.